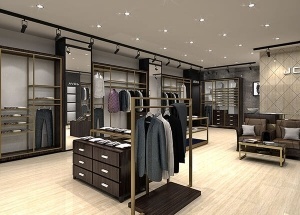 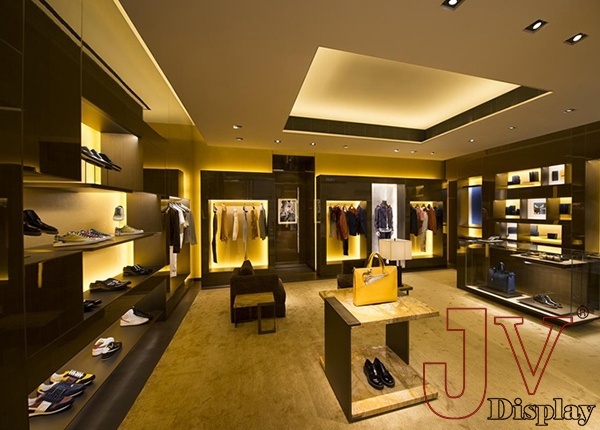 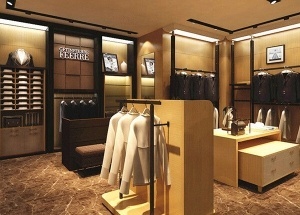 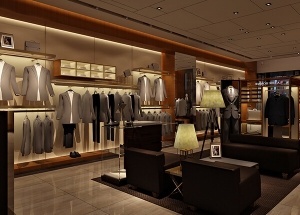 This men shop design was for FENDI men boutique shop, sell man clothing, shoe, bags. 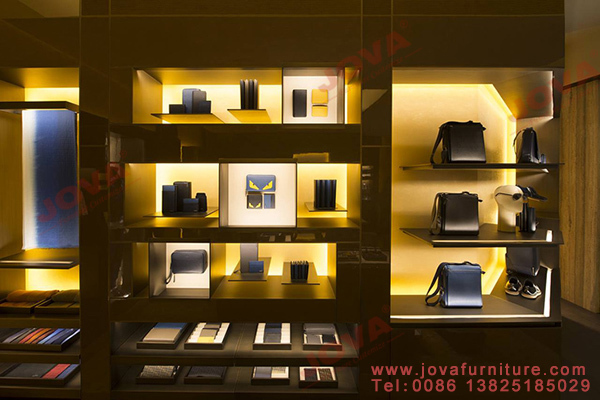 It manily including wall shoe display racks, bag display racks, clothing wall shelves, display table, glass showcase, chairs, shop counter . 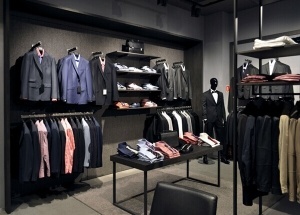 This whole men clothing store furniture using dark color, simple, honorable and generous. 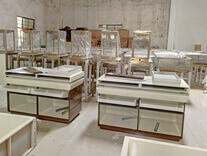 The wall bags display cabinet can be made wooden with baking paint or metal. 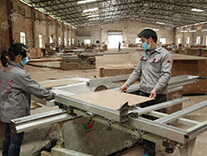 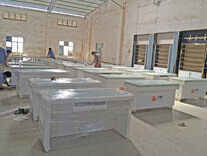 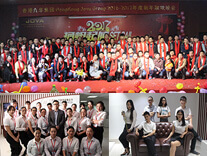 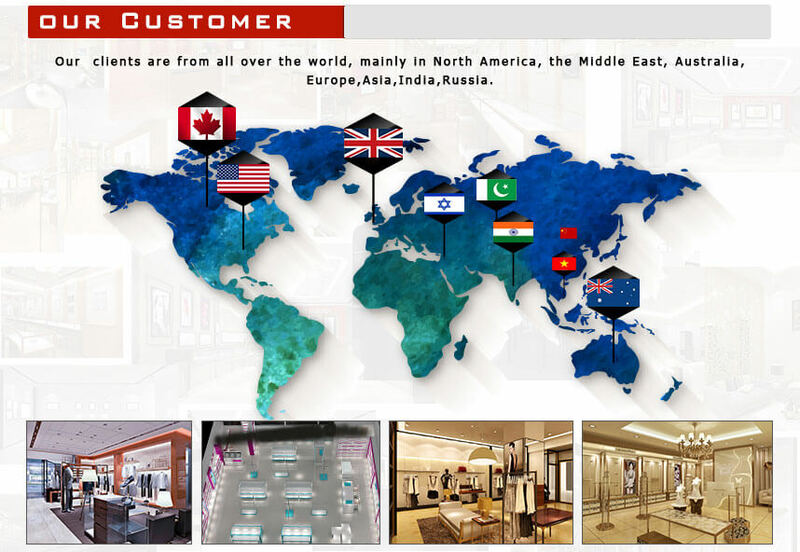 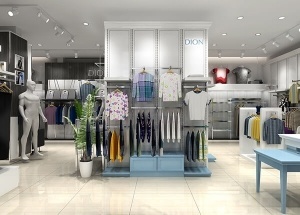 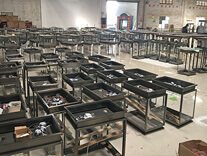 We are clothing store furniture manufacturer, all the display furniture are custom made. 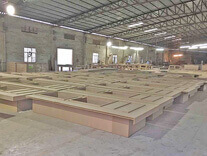 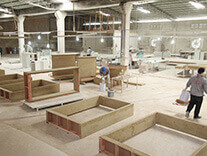 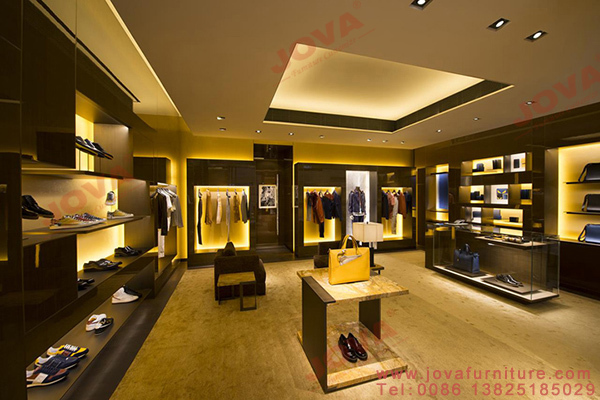 we can do the store furniture fit your requirement. 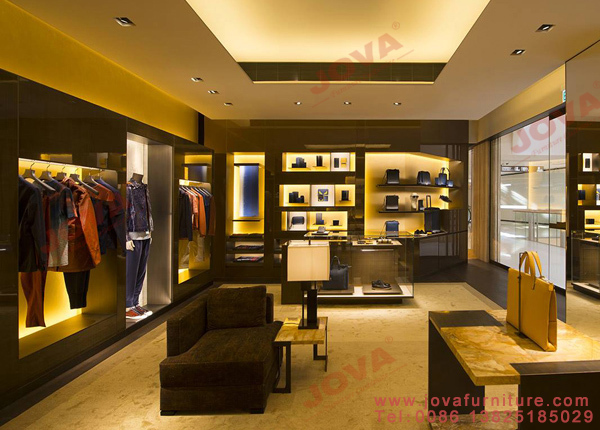 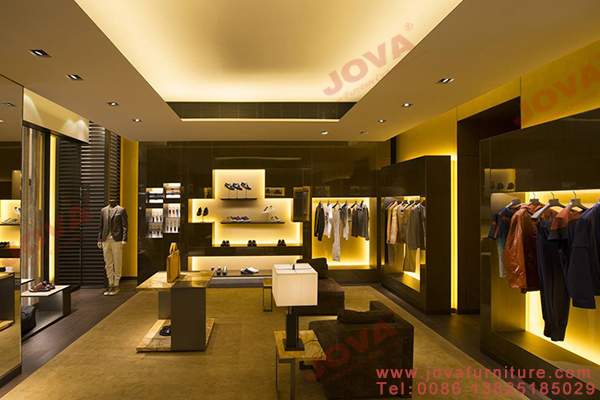 Get a free men boutique design, Please contact us by whatsapp: +86 13825185029 , email at jason@jovafurniture.com.